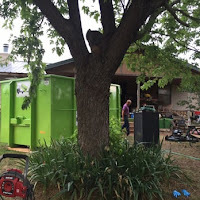 okcdumpsterrentals: Is Your Home Storm Season Ready? Is Your Home Storm Season Ready? Springtime in Oklahoma can be some of the most stressful times for homeowners because of our weather. With the change of season comes high winds, lots of rain, and thunderstorms with lightning and hail. Preparing and protecting homes prevents costly damage from springtime storms. The first point of protection for homes is the roof. When a home is not protected by reliable roof material such as shingles, tile, or metal, the wood and other building materials will suffer water damage during Spring weather. A roof leak can go beyond just cosmetic fixes and affect electrical systems. Any electrical compromise is dangerous with the possibility of fire. It is a good idea to schedule a roof inspection at this time of year. This is the safest plan to evaluate the condition of the roof, with professionals on top of the roof instead of yourself. Even with newer roofs, a professional can look over the roof properly, to make sure there is no prior storm damage. At the very least though, a good look at your roof can be done by you, while outside. If possible, take a look during a windy day to notice any loose shingles. Also, look for any uneven places on the roof. After a storm, do an inspection on the inside of the ceilings for discoloration or sagging. And during a storm, take a tour of the attic to make sure there are no leaks. 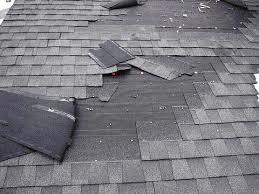 If you find that you have roof damage and would like to have it inspected, be sure to only use a reputable, local, licensed roofing company. It is an Oklahoma law that all roofers are licensed in our state. More protection for your roof and the rest of the home is trimming trees in the yard. High winds can easily propel branches and limbs into a home. Lightning is also very dangerous with trees branches that may be close to the roof line. Trimming these trees will be helpful by clearing safely away from roofs and preventing fire. Also, the rain can cause other issues in the yard. Inadequate draining and erosion can be not only a mess, but lead to costly damage. For further protection against storms, now is the time to clear out storage areas. Storage areas such as garages, attics, barns and sheds are the go-to places for property that can easily be pulled in before a storm, protecting it from damage. Assess these areas and make sure there is plenty of space cleared out for these items. Such items that can be pulled in to storage before damaging hail and wind are cars, patio furniture, pool accessories, toys, and even grills. Utilize your protection space by clearing out unwanted junk and leaving room for these items when needed for storms. You might find renting a dumpster can help you get your home storm ready. If your garage or storage shed is too full of unused or unwanted item that you can not get your car in it might be time to consider decluttering. 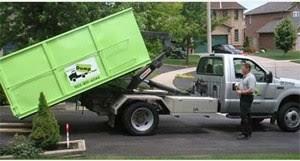 Renting a dumpster now can save you a headache and sense of panic when the storm does arrive.